Bright auroras on parts of Jupiter where those shimmering glows have not previously been seen appear in new images taken from NASA's Hubble Space Telescope by University of Michigan scientists. The images come from a joint study in December 2000 and January 2001 using both the Earth-orbiting Hubble and NASA's Cassini spacecraft, currently near Jupiter, to examine how Jupiter's aurora is affected by the solar wind, an outbound flow of particles from the Sun. The new pictures of Jupiter's aurora are available online from NASA's Jet Propulsion Laboratory, Pasadena, Calif, at http://www.jpl.nasa.gov/pictures/jupiter or from the University of Michigan, Ann Arbor, at http://www.sprl.umich.edu/CassiniHSTJupiterflyby . "I've been observing Jupiter's aurora for 22 years and these images have provided an enormous amount of new and interesting data," said Dr. John T. Clarke, senior research scientist at the University of Michigan's College of Engineering and principal investigator for the Hubble observations. "We've just begun to study the data and have already found some new features, including bright aurora in places we've never seen them before." While Hubble observes the aurora, a team of Cassini scientists led by University of Michigan's Dr. David Young, principal investigator for the Cassini plasma spectrometer instrument is measuring variations in the solar wind that might be causing the auroral fluctuations. "We know from earlier data that the solar wind has some control over the aurora, but this is the first chance we've had to study the connection up close," Young said. By learning more about Jupiter's aurora, scientists hope to gain better understanding of how Earth's aurora behaves and of ways the two planets differ. Like Earth's aurora, often called the northern lights or southern lights, Jupiter's auroral glows occur at high latitudes. They frequently appear as ovals encircling Jupiter's magnetic poles. At both planets, auroras are useful indicators of conditions in the magnetic field surrounding the planet, since particles steered by the magnetic field toward the planet's poles are what stimulate the glow. In that sense, the aurora serves a TV screen displaying what's happening in the magnetic field. The axis of Jupiter's magnetic field is tilted from Jupiter's axis of rotation, so the auroral ovals seem to wobble around the rotational poles as the planet turns. One newly observed phenomenon is a series of fast fluctuations in brightness inside the southern oval, previously seen only in the north. These are known as "polar cap flares." The new images also capture a distinct brightening inside the northern oval over the portion of the planet rotating toward the Sun. "We see the main oval, then all of a sudden we see a curtain of auroral emission start up on the dawn side, just poleward of the auroral oval," said University of Michgan's Dr. Hunter Waite, team leader for one of Cassini's scientific instruments and a co-investigator for the Hubble observations. Jupiter's "dawn storms" resemble certain auroral storms on Earth in that they persist for hours, but differ from them by appearing on the planet's dawn flank, instead of its night side. Researchers are studying features of the aurora and examining possible relationships to how the solar wind affects Jupiter's magnetosphere, a vast environment of charged particles surrounding the planet under the influence of Jupiter's magnetic field. Just as Earth's auroras are triggered by disturbances in Earth's magnetic fields, auroras on Jupiter are linked to that planet's much greater magnetic field. "We have collected more data in two weeks than we've amassed in several years." Waite said. "This new data helps us determine if our theories about how the aurora behaves are on target." 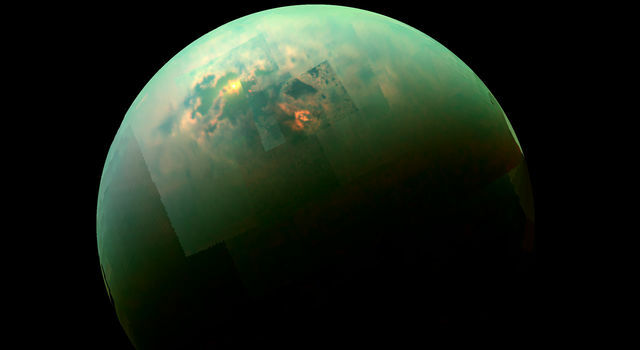 During a second phase of the joint study, after Cassini had passed Jupiter, Cassini took nightside pictures while Hubble captured dayside images. "It's a rare chance to view Jupiter from two vantage points simultaneously," Waite said. "As the planet rotates and the solar wind changes, we can collect images and solar wind data without interruption. That's something we've never been able to do before." 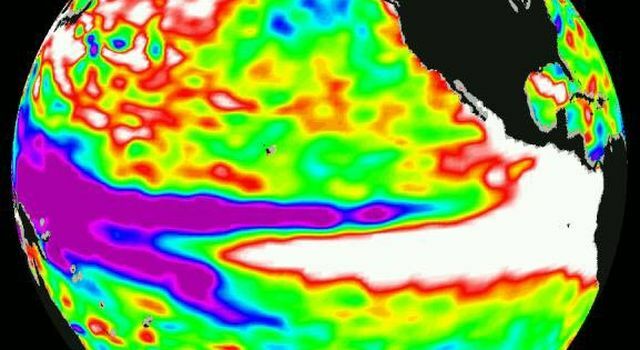 In addition to visible imagery, researchers collected ultraviolet and infrared images of the planet. The project involves collaboration between NASA's Goddard Space Flight Center and several leading research universities, including University of Michigan, University of Arizona, University of Colorado and the California Institute of Technology. "These joint observations are a welcome opportunity for collaboration with Hubble", said JPL's Dr. Linda Spilker, deputy project scientist for Cassini. "The ability to understand and model Jupiter's aurora is clearly enhanced with combined measurements from both Cassini and Hubble. The combined data sets are more valuable than either data set alone." 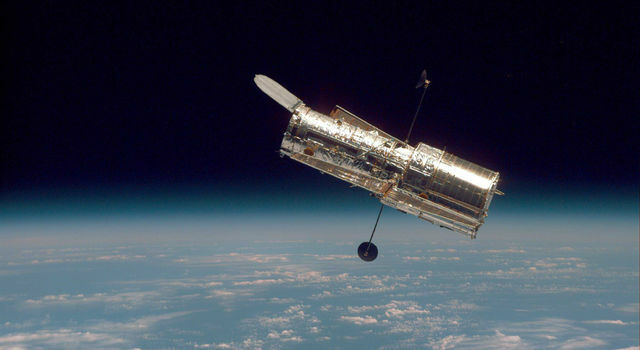 The Hubble Space Telescope is a project of international cooperation between NASA and the European Space Agency (ESA). 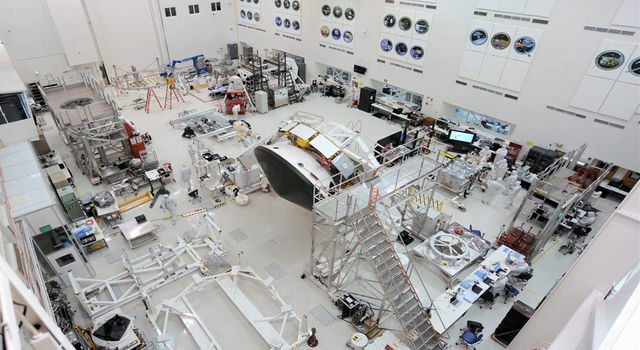 It is managed for NASA by the Space Telescope Science Institute, Baltimore, Md. Cassini is a cooperative mission of NASA, ESA and the Italian Space Agency. JPL, a division of the California Institute of Technology in Pasadena, manages Cassini for NASA's Office of Space Science, Washington, D.C.